The epic #winechicks at Olivers Taranga always impress with their classy stable of classic and emerging wine varieties out of McLaren Vale, South Australia. 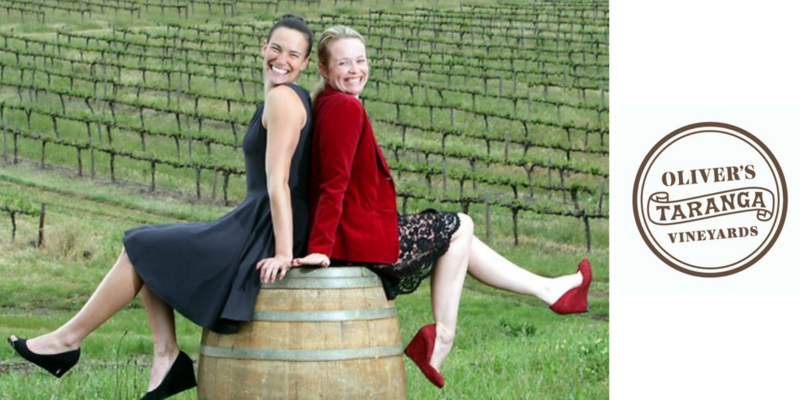 One of Australia’s most fabulous ladies of wine, fifth generation family member Corrina Wright (right) is the winemaking talent behind this multi-award winning wine company, and cousin Brioni Oliver (left) is the Sales and Cellar Door Manager. Their wines are a delightful selection of estate grown varieties from the premium, clean and green McLaren Vale wine region of SA. 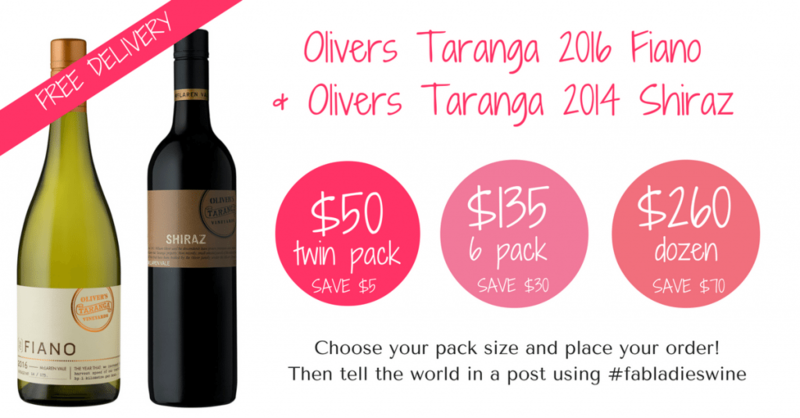 Click the ‘Buy Now’ button to be taken to the Olivers Taranga website where you can choose your pack size. And you’ll receive FREE delivery anywhere in Australia. Woot woot!! Those in the know say Corrina makes the best Fiano in Australia. And her secret? Minimalism with a splash of rich texture. Think classic Hamptons style interior design. White washed walls, vintage timber and throw cushions galore. Just, you know, in a wine. For a winery that’s all about multi-generations and family, there’s something rather nice about the fact that this Shiraz comes from a range of vines aged from 7 through to 70 years of age. Like a big ol’ Christmas table of relatives come together – minus the leering uncle. Enjoy buying the wines direct from Olivers Taranga! By purchasing your wine direct from the producer you’re supporting real people making gorgeous wines. Simply purchase your wines by clicking on the ‘Buy Now’ links above and you’ll be taken to the Olivers Taranga website to make your selection.